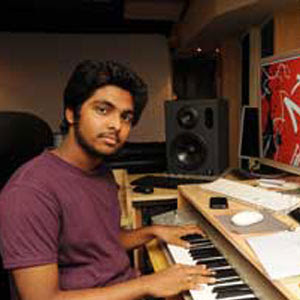 Nephew Of Rehman GV Prakash Kumar is making waves in Tollywood. Even with Ullasanga Uthsahanga, he proved his mettle. It seems that his moment has arrived in Telugu. Tollywood has always had the practice of roping in Tamil musicians, and GV, newphew of AR Rehman, is the latest entrant into the list. Currently, the musician has been selected for Venkatesh-starrer Chandramukhi-2. His next album will be Prabhas-starrer's Darling. If the audio turns out to be a success, there will be no looking back for him in Tollywood. Also, the P Vasu film is another feather in his cap, which he will nurture very carefully. After Yuvan Shankar Rajas and Mickey Meyers, it is now the turn of GV. 0 Response to "G.V.Prakash to Compose Music To Chandramukhi-2"